Since the first production of tools at the beginning of human presence on earth, evolutionary jumps mark human development. Sometimes, these punctuations were triggered by inventions of new tools, combined with new environmental adaptations. Affordances, as specialized forms of symbiotic embodiment with tools and environments, represent one of the main factors for human evolutionary processes. The cognitive neuroscience of the reflexive function can be one of the main keys to understand how the emergence of new interfaces yields new ways of projecting the human presence and consciousness in the world. Stone tool technology, robust australopithecines, and the genus Homo appeared almost simultaneously 2.5 Ma. Once this adaptive threshold was crossed, technological evolution continued to be associated with increased brain size, population size, and geographical range. Traits of behaviour, economy, mental capacities, neurological functions, the origin of grammatical language, and socio-symbolic systems have been inferred from the archaeological record of Palaeolithic technology (Ambrose 2001). Homo Habilis is, obviously, considered the first toolmaker. The contiguity in the brain of Broca’s area, involved in oro-facial fine motor control and language, to the area for precise hand motor control might be more than casual. The hand of Homo Habilis resembles that of modern humans. Its brain was significantly larger (600 to 800 cm3) than that of earlier and contemporary australopithecines and extant African apes (450 to 500 cm3), and its teeth were relatively small for its body size, suggesting a relation between tool use, quality of diet, and intelligence. The production of tools and artefacts is linked to the development of language, culture and cognitive functions. This happened as tools and artefacts were, just as other socio-linguistic processes, mediating and reflexing interfaces in environmental and social interactions. We need to know more about the ways in which speaking, tool-using, and sociality are interwoven into the texture of everyday life in contemporary human groups. The birth of technique was incubated in the complex system of material resources, tools, operational sequences and skills, verbal and nonverbal knowledge, and specific modes of work coordination that come into play in the fabrication of material artefacts. It is a process, a complex interplay of reflexivity between sensory-motor skills, symbolic cognition, tools, artefacts and environment. James J. Gibson (1979), in this context, originally proposed the concept of affordance to refer to “all action possibilities” latent in a specific environment, objectively measurable, and independent of the individual's ability to recognize those possibilities. Further, those action possibilities are dependent on the physical capabilities of the agent. For instance, a set of steps with risers four feet high does not afford the act of climbing, if the actor is a crawling infant. Therefore, we should measure affordances along with the relevant actors. 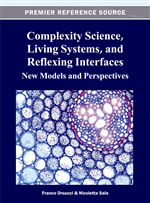 Donald Norman (1988) introduced the term affordance in Human Machine Interaction, which made it a very popular term in the Interaction Design field. Later (Norman 1999) he clarified he was actually referring to a perceived affordance, as opposed to an objective affordance. This new definition clarified that affordances are determined not only by the physical capabilities of the agent, but also by the individual and social knowledge embedded in objects and interactions of everyday life.